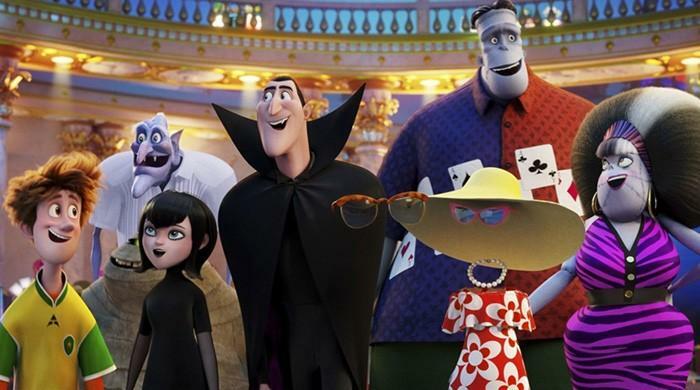 The animated fantasy comedy, whose voice cast includes Adam Sandler and Selena Gomez, follows Count Dracula and his family as they get away from their hotel for their own vacation. It swatted away last week's number one, "Ant-Man and the Wasp," in at second with takings of $28.8 million over the three-day weekend, according to industry tracker Exhibitor Relations. The 20th release in Disney's Marvel Cinematic Universe sees ex-con Scott Lang (Paul Rudd) languishing under house arrest in San Francisco after being caught, as his shrinkable superhero alter-ego, fighting some of the other Avengers in "Captain America: Civil War" (2016). Struggling to balance home life and Ant-Man duties, he's confronted by old flame Hope van Dyne (Evangeline Lilly), alias the Wasp, with an urgent new mission. Third place went to Universal's new release "Skyscraper," with earnings of $25.5 million. Packed with action, it sees Dwayne "The Rock" Johnson star as an ex-FBI agent who has to rescue his family from the newly built tallest skyscraper in the world, after terrorists set it ablaze. In at fourth was "Incredibles 2," dropping one place with takings of $16.2 million. After earning $28.4 million last week, it pushed past Pixar stablemate "Finding Dory" (2016) as the top-grossing animated film of all time in North America. Disney's "Frozen" still holds the global box office record for animated films. Ranking fifth was Universal's "Jurassic World: Fallen Kingdom," taking $15.5 million. The movie, which has raked in more than $1 billion globally, sees Chris Pratt and Bryce Dallas Howard struggle to contain dinosaurs rescued from a tropical Pacific island and sheltered temporarily at a California mansion.